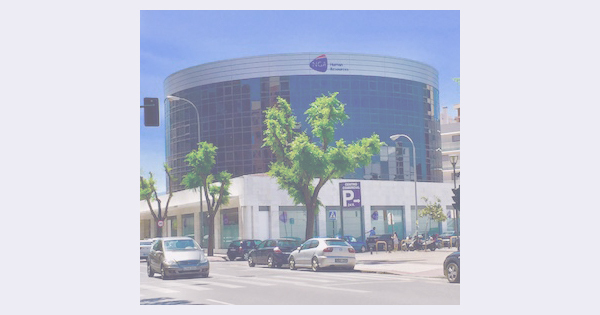 Granada plays host to our biggest employee population in Spain, and to our flagship strategic service delivery and customer support centre. This financial year we’re celebrating 10 years in this wonderful city where we sit at the foot of the Sierra Nevada mountains in Andalusia and just 70km from the coast the south of Spain. The best of all worlds! In the last 10 years, NGA HR has become one of the biggest employers in the city. Many of our employees join us straight from the University of Granada and build long and successful careers with us. Our clients benefit from the multilingual capability these students bring (Granada attracts student on Erasmus programs from around the world) and their fresh approach to IT and service delivery. We underpin the benefits of this newly emerging workforce with nearly 50 years of HR and payroll services experience, and a services infrastructure spanning nearly 200 countries around the world. The Granada centre alone plays a leading role in implementing and managing innovative payroll and HR solutions. We have over 1,000 colleagues, speaking 35 languages, supporting over 150 customers in more than 50 countries! This multicultural environment we have here at NGA HR Granada, not only creates an amazing workplace experience, it provides us with a complete understanding of and ability to meet the different cultural expectations of clients wherever they are located. Global payroll is typically complex and highly legislated. Each country has parameters specific to it, but requiring multi-country standardisation and compliance. Having the local and global knowledge in our service centre enables us to ensure that client HR and payroll services are both high performing and compliant. We invest heavily in ongoing training. All our centres pride themselves on the NGA HR “World of Opportunity” principal. This global initiative enables us to recruit and retain the best people. We also have close relationships with the universities in several of our locations and internship programs with many of these. In Granada, we currently offer 30 paid internships to students of the university, which is ranked in the top three bests for Computer Science in Europe. We’re also working with the university to secure Masters’ program placements for our employees. This bi-directional partnership will, in turn, benefit the wider HR and payroll solutions community. We’re already investing and innovating heavily in analytics and artificial intelligence for HR. “Our agreement with Granada University has revitalized and inspired a fresh thinking at NGA HR in Granada. We have already enjoyed many positive opportunities for our business and for the university. This video goes through the doors of the NGA HR Granada.